In putting up big numbers, no performer in the history of show business can compare with Elvis Presley. Indeed, the “King” was larger than life itself, and his numbers—the chart records, the #1 hits, the Gold Records, the Hollywood movies, the sold out concerts—all sustain that image. Breaking down the figures in the various entertainment fields he dominated in the twentieth century make his accomplishments seem even more amazing. This is certainly the case when considering the statistics associated with Presley’s stage shows during his career. Below are some impressive numbers that Elvis compiled during his touring years from 1954-1957 and 1969-1977, along with a brief stage foray in 1961. First, though, a limited disclaimer concerning the numbers is required. It’s impossible to nail down with complete accuracy all the data about Presley’s personal appearances, especially in the early years. He was hardly a household name at that time, and detailed records of his shows were not kept as faithfully as they would be in later years. So, I can’t testify under oath that all of the numbers below are completely accurate. However, I’m convinced they are within a small margin of error. For the record, I compiled and cross checked the following numbers using three sources: elvisconcerts.com web site, Fred Worth and Steve Tamerius’ book Elvis: His Life From A to Z, and the Peter Guralnick and Ernst Jorgensen chronology Elvis: Day by Day. The first town Elvis played was his hometown of Memphis on July 17, 1954, and the last was Indianapolis nearly 23 years later on June 26, 1977. Between those two, the citizens of 238 other U.S. municipalities welcomed Elvis to town. Of course, Elvis performed in many of those cities multiple times. Shreveport, Louisiana, was the city in which Elvis appeared the most times—46 times, all but 2 of them for appearances on the weekly The Louisiana Hayride radio program during the 1954-56 period. 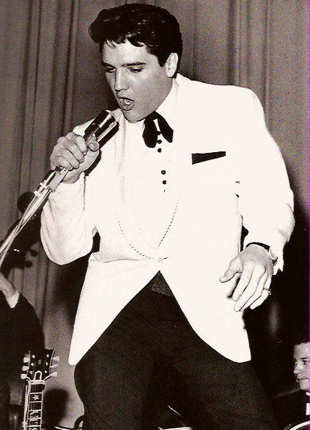 With 33 stage shows, Memphis, not surprisingly, was the city in which Elvis appeared second most often. All but 5 of them were in 1954 and 1955. He also played his hometown in 1956, 1961, 1974, 1975, and 1976. Third on the list of most Presley-visited cities is Houston, with 16 appearances also spread out between 1954 and 1976. The rest of the top 10 cities most visited by Elvis include Las Vegas (15 appearances), Atlanta (9), Richmond (9), Cleveland (8), Jacksonville (8), Lubbock (8), and Dallas (8). Since Elvis also appeared in Ft. Worth 7 times through the years, he actually came to the Dallas-Ft. Worth metropolitan area 15 times. Finally on the city level, in addition to 240 U.S. communities, Elvis played three cities in Canada—Toronto, Ottawa, and Vancouver—all in 1957. That brings to 243 the number of towns, cities, and communities in North America that hosted Elvis’s stage show. Texas was by far the most favored state for Elvis appearances. During his career he played a whopping 48 different communities in the Lone Star state. Many of them were small communities in 1954-55 when Elvis first began taking his show to environs within driving distance of Memphis. That also accounts for Arkansas being second on the list with 17 communities, most of which Elvis visited during his early years on the road. The rest of Elvis’s top 10 most state towns visited include Mississippi (14), Florida (13), North Carolina (12), Alabama (10), Louisiana (9), California (8), Tennessee (8), Missouri (7), and New York (7). Unlike the others on that list, New York was almost totally ignored by Elvis in the 1950s. 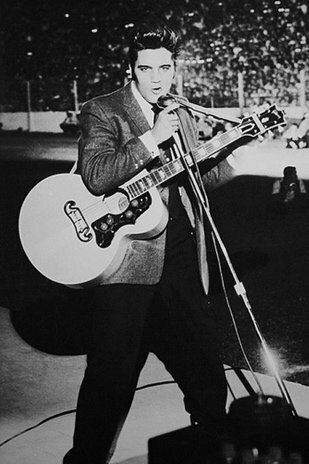 Discounting his network TV appearances, Buffalo was the only Empire State city to see Elvis on stage in fifties. Although Elvis crisscrossed the U.S. numerous times on his concert tours through the years, there were 9 states in which he never appeared. They were Alaska, Delaware, Idaho, Montana, New Hampshire, New Jersey, North Dakota, Vermont, and Wyoming. Citizens of Delaware and New Jersey still had the opportunity to see Elvis, as he appeared in nearby cities in neighboring states multiple times. On the other hand, the most Elvis-deprived states were Alaska and Wyoming. Elvis fans in Alaska’s largest city of Anchorage would have had to travel over 2,000 miles to see the nearest Presley concerts in Vancouver, B.C., or Seattle. Montana was almost as isolated from Elvis. Surrounded as they were by other Elvis-deprived states of Idaho, Wyoming, and North Dakota, the few Montanans who had the best chance to see Elvis in concert were those in the northwest corner of the state, who were within 200 miles of Spokane, where Elvis appeared three times, and those in the state’s southeast corner, who would have been able to make the drive to see Elvis in Rapid City, South Dakota, in June 1977. Of the 243 towns Elvis played, 93 were one-night stands. Most of them were small communities Elvis visited in the 1950s. The obscure hamlets Elvis played in those early years included Prichard, Bono, Leachville, Marianna, Waycross, Bastrop, Bruce, Guymon, DeLeon, Seymour, and Kilgore. Obviously, once Elvis hit the big time in 1956, only communities with venues that could accommodate thousands could hope to book him. In the seventies, though, if a town could fill its arena the first time Elvis came through, there was a high probability that he would return again. 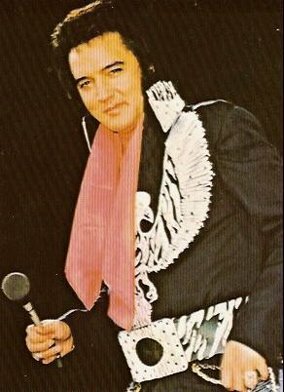 For example, when Elvis fans in my hometown of Spokane packed the local Coliseum for Presley’s show in 1973, they were rewarded with a return engagement in 1976. Strangely, though, there were several large U.S. cities that Elvis played once, and only once, during his career. The country’s largest metropolis was one of them. 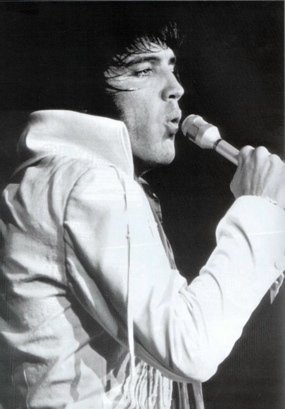 Presley’s legendary three-day run at Madison Square Garden in 1972 was his one stage show stop in New York City. Washington D.C. in 1956 and Boston in 1971 were two other major American cities that only hosted the King once. And what was the largest U.S. city that Elvis never played? It was Newark, New Jersey. As Elvis made multiple tour stops in many American cities, he also performed multiple shows in many cities. Trying to determine the exact number of concerts he performed over his career is nearly impossible. That said, the sources I used put that number at an incredible 1,684. His one-city, one-engagement record was 63 shows at the Las Vegas Hilton between August 4 and September 4, 1972. 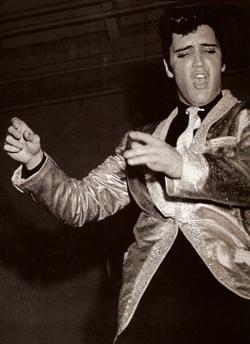 In fact, of Elvis 1,684 shows, 767 were performed in Nevada showrooms, either in Las Vegas or Stateline. That still leaves 917 Presley performances that took place in other communities all over the U.S. and Canada. Houston was one road stop where Elvis often settled in for several days to perform multiple shows. During his 16 tour stops in Houston through the years, Elvis put on 31 shows, most for any city outside of Nevada and Memphis. Atlanta follows close behind with 30 Presley shows in 9 tour stops there. Elvis Presley’s startling tour numbers demonstrate how seemingly endless crowds of people were drawn to him as a live entertainer. His most active year on the road was 1955, when he gave 295 shows in 117 communities. He followed that up during his breakout year of 1956 with 187 shows in 77 towns. "The first town Elvis played was his hometown of Memphis in 1954, and the last was Indianapolis nearly 23 years later. Between those two, the citizens of 238 other U.S. municipalities welcomed Elvis to town."